Liberal Senator Roméo Dallaire is accusing the Harper government of making it "almost impossible" for former Guantanamo inmate Omar Khadr to reintegrate into Canadian society. Liberal Senator Roméo Dallaire is accusing the Harper government of undermining efforts to help former Guantanamo inmate Omar Khadr reintegrate into Canadian society. "I think they are creating a scenario for him so it's almost impossible for him to reintegrate in society in Canada, in at least a fair chance of having that opportunity," Dallaire told CBC News on Monday. "They continue to demonize him." Dallaire has been a vocal critic of the Harper government's handling of Khadr's case, including the delay in his repatriation. In July, Dallaire set up a petition asking Public Safety Minister Vic Toews to honour the plea bargain deal Khadr agreed to in 2010, accepting responsibility for a U.S. army medic's death in 2002 in exchange for his return to Canada to serve the remainder of his sentence. The commander of the UN's ill-fated mission in Rwanda in 1994 considers Khadr a child soldier because he was only 15 when he was detained. "He's been 10 years in jail already, in a jail so many have considered illegal and inappropriate," Dallaire told CBC News. "He's been tortured to get testimony out of him and through all that has seen no support whatsoever." Khadr was quietly transferred from Guantanamo Bay to Millhaven Institution in Bath, Ont., early Saturday morning. 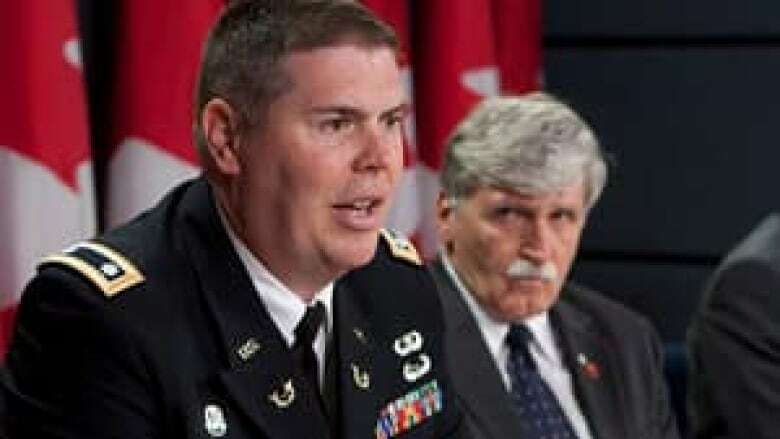 Dallaire suggests the United States may have been losing patience with the Harper government. "I don't think it is us opening the door so much as the Americans kicking the door open," Dallaire said of Khadr's return. Toews met the media at a hastily arranged news conference on Saturday morning to announce his return. "Omar Khadr is a known supporter of the al-Qaeda terrorist network and a convicted terrorist," Toews said Saturday. In a three-page statement issued by Toews' office outlining the government's position on the facts of Khadr's case, Toews says that "Mr. Khadr's known accomplices [before and during the July 2002 firefight to which he pleaded guilty] include Osama bin Laden, Ayman al Zawahiri, Muhammad Atef, Saif al Adel and Ahmed Sa'id Khadr [Omar's father]." The Toews statement also mentions how not only did his father have "a lengthy history of terrorist action and association with al-Qaeda" but his "mother and older sister have openly applauded his crimes and terrorist activities." "He's an adult now," Dallaire said. "Family or no family he still takes his own decisions and lives his own life and so that cannot be an overriding factor in regards to how we treat him." "Now that he's back in Canada the government should simply clam up. It has no more duty in regards to this individual. He's now within the process of our judicial system and in that context the executive has no right to interfere in the judicial process," Dallaire said. Khadr's earliest opportunity for parole will come next spring. His legal team has begun work towards his application for release. "The over-the-top rhetoric that we've come to expect from this minister is most unfortunate," Liberal MP Sean Casey told CBC News on Monday. "I hope it doesn't influence the parole board's deliberations." Brydie Bethell, who is on Khadr's legal team, told host Heather Hiscox on CBC News Network that "the political process is over" and the next steps in Khadr's case are up to Corrections Canada. 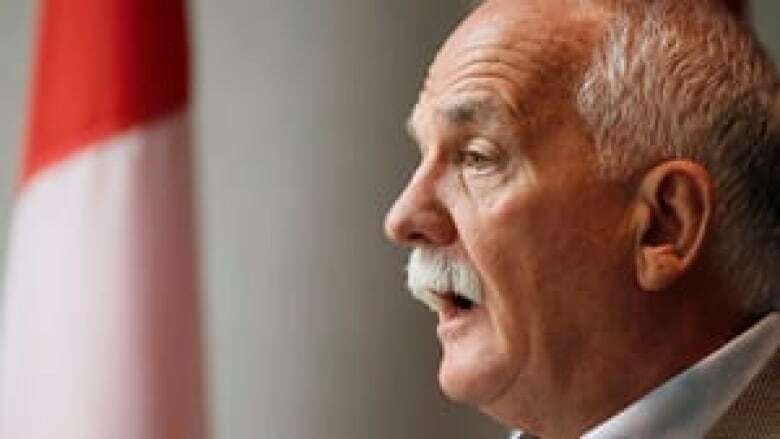 "In my view, it's quite impermissible for a member of government and a minister of the Crown to be interfering in any way with corrections officials' jobs," Bethell said, adding that it's "very unfortunate" that the minister is "continuing to demonize Omar in the media." "I really look forward to when Canadians get to know Omar, the real person," she said. "I can tell you that he's a gentle, kind warm person with a great sense of humour and ... a thirst for knowledge and for learning, and I have every confidence that he will become a contributing member of Canadian society." "This government decided to play politics with a straightforward foreign affairs case," NDP foreign affairs critic Paul Dewar said before question period in the House of Commons on Monday. Rather than simply bringing its citizen home as other countries did, Dewar said, "they tried to polarize and turn this into something else." "They've obviously screwed up massively when it comes to this case, so hopefully they won't do any further damage when it comes to our reputation as a country," Dewar told reporters. During question period, Dewar raised allegations that secret American documents from Khadr's file were leaked to the media. Toews denied that the Canadian government had the transcript of the interview that was leaked, and said that "Canadian officials did not leak this material." "The transfer of Omar Khadr occurred following a process initiated by the American government and conducted in accordance with Canadian law," Toews said. "It did not include consideration of foreign relations." Toews' office said Monday that he won't be commenting further on Khadr's case.